Hi all! Did you have a good weekend? Mine was all about rearranging and organizing and cleaning - feels like I'm nesting - but not. Anyway, because J is moving back home, I have a renewed sense of "this is my house" which, I know, makes no sense. I've been here for five years but it's never really felt like home to me. 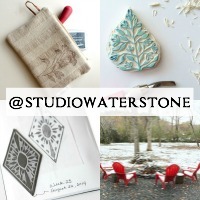 Now it's beginning to and I'm excited about adding my stamp. Where am I going with this? Well, because green is my favorite color, I always seem to come up the loveliest shade of chartreuse paint water and I adore the combination of chartreuse and turquoise in the home (as well as a few other things like scarves...and skirts...and washi...and...flasks with whales) Chartreuse is my color of the week. Have a beautiful, inspired Monday. What's your favorite color for the home? Thank you for this nice surprise Lori! Nice post and it is one of my favorite colors too. Already spreading about your beautiful art work. 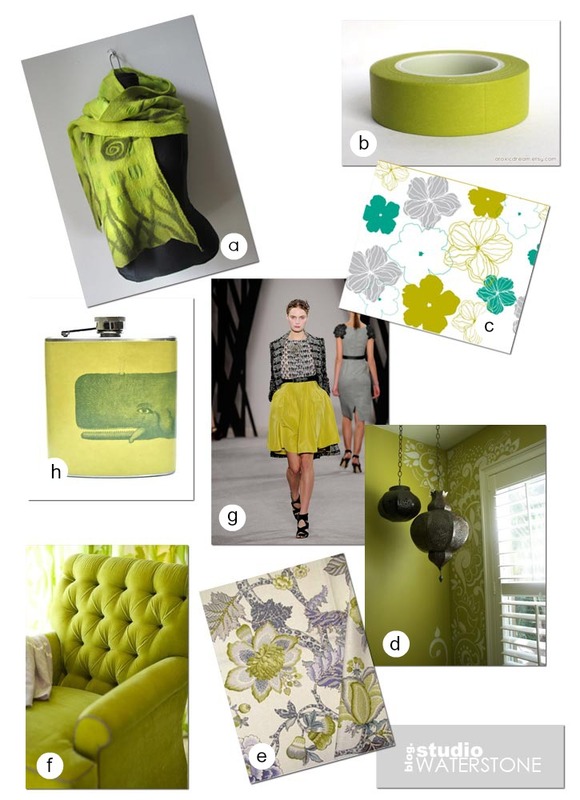 Chartreuse is an odd color, but you have picked some wonderful items here. Love it! Well you know green is my favorite color too, and chartreuse is a gorgeous green, they just put up a new flower store and the outside is painted chartreuse, I had to stop in and tell them what a fabulous color their store was, she was so grateful I had stop in to tell her. Thanks for sharing my fav and have a wonderful day. 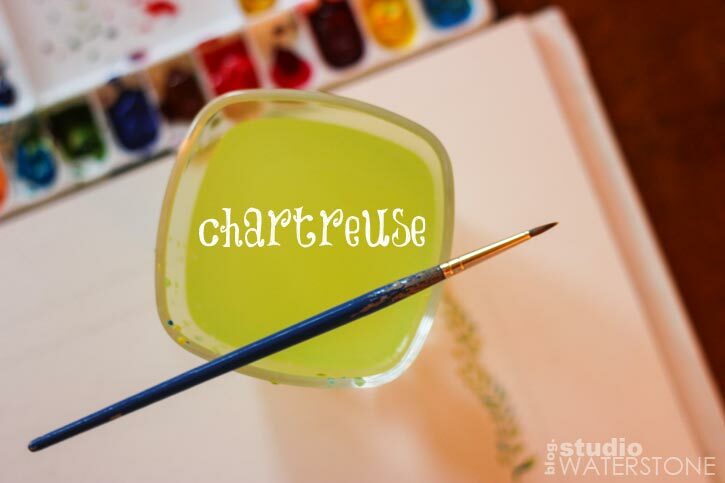 I adore chartreuse too and have a wonderful hummingbird surrounded with it. But my house is mostly yellow with neon, chartreuse green accents almost everywhere you look. Love your selections especially that wonderful chair.